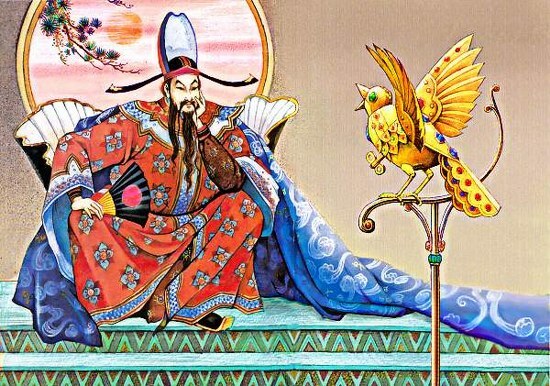 Children of all ages will delight in The Nightingale, a dynamic tale of a little bird with a unique musical gift and her relationship to a powerful emperor. Accordionist and Broadway performer Mary Spencer Knapp will perform her one-woman musical adaptation of Hans Christian Andersen’s wonderful tale, half-narrated and half-sung to accordion accompaniment. The free performance will take place Saturday, December 1, at 11 am at the Crown Heights Public Library, 560 New York Ave, at Maple Street (718) 773-1180. The Nightingale is a presentation of PLG Arts made possible by the Crown Heights branch of the Brooklyn Public Library. Mary Spencer Knapp is a Brooklyn-based multi-instrumentalist, composer, actor, and educator. She made her Broadway debut in 2016 in the Tony-award winning show Natasha, Pierre & The Great Comet of 1812 and is founder of Toot Sweet, an original cabaret soul project. 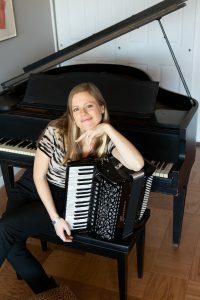 Mary has toured as accordionist for Dominican singer Irka Mateo and performs regularly in New York City with Cumbia River Band, a traditional Colombian dance band. She is a certified Music Together teacher and runs her own curriculum of keyboard, voice and ukulele classes.